Tai Chi at Independence LIVE. Are you looking for a way to clear your mind while also building muscle strength and improving your flexibility? Then try Tai Chi, a new weekly class being offered at Independence LIVE. Tai Chi is a gentle form of exercise that is often referred to as “meditation in motion.” This Chinese Martial Arts class will teach attendees about movement and achieving calmness by incorporating slow moves of all extremities and practicing elements of qigong, a technique that involves coordinated movement, breathing, and meditation. 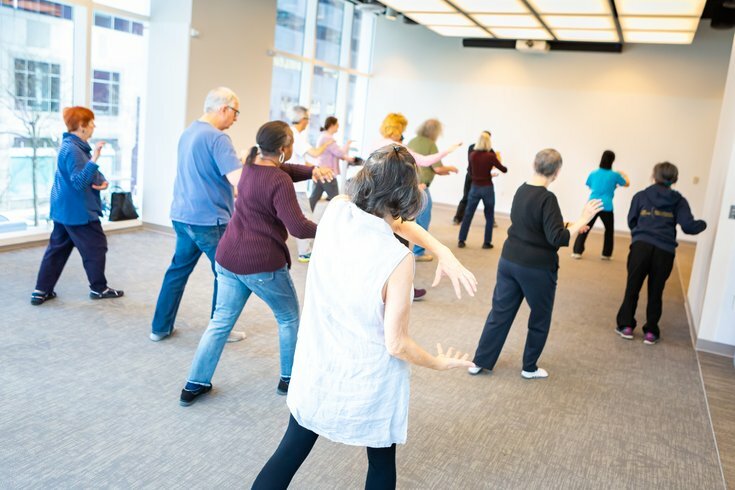 The next Tai Chi class takes place on Tuesday, April 23 at 10:15 a.m. and is free for members of an Independence Blue Cross health plan. Tuesday, April 23 from 10:15 – 11 a.m.